So, I’ve been reading Nietzsche again. See, I went and got myself a Kindle. And I was getting free copies of all these books I already have (and will be donating many books at some point in the future to make shelf space for…something). 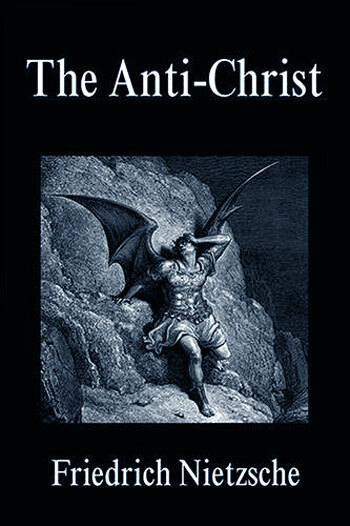 And I downloaded a copy of The Antichrist which I have not read in many years. It is a fascinating book that makes many points that would be familiar to many gnu atheists. I have thought more than once of sending a passage to Jerry Coyne, Eric MacDonald, or even PZ Myers because they all have reminds me of things Nietzsche has said in this little book. So, then the other day, on the way home from work, I read section 32 of said book. Before quoting and commenting, I want to point out that Nietzche does not identify as an atheist*, although his views seem pretty consistent with how the term is used today. I think it is fair to consider him an atheist for the purposes of simple categorization (as if Nietzsche could be easily categorized!) but recognize that he didn’t self-identify with the term. As an introduction to today’s thought, allow me to make an observation. Many atheist writers, especially ones I read, talk about how Christianity, or theism generally—perhaps merely the concept of faith itself!—is philosophically and even methodologically opposed to basic critical thinking, skepticism, and secularism. 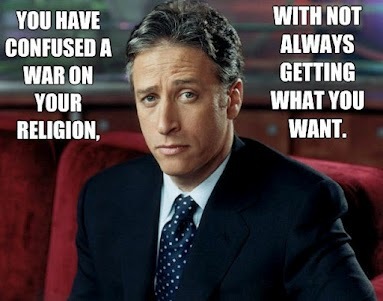 There is a real worldview difference between the very religious and the essentially secular culture which surrounds it. Some call it a culture war, and this label is as good as any I suppose, but it is at bottom (one is tempted to say de Bottom) it is a difference of perspectives, whether those at odds see the underlying methodological distinctions or not. The physiologists, at all events, are familiar with such a delayed and incomplete puberty in the living organism, the result of degeneration. A faith of this sort is not furious, it does not de nounce, it does not defend itself: it does not come with “the sword”—it does not realize how it will one day set man against man. It does not manifest itself either by miracles, or by rewards and promises, or by “scriptures”: it is itself, first and last, its own miracle, its own reward, its own promise, its own “kingdom of God.” This faith does not formulate itself—it simply lives, and so guards itself against formulae. 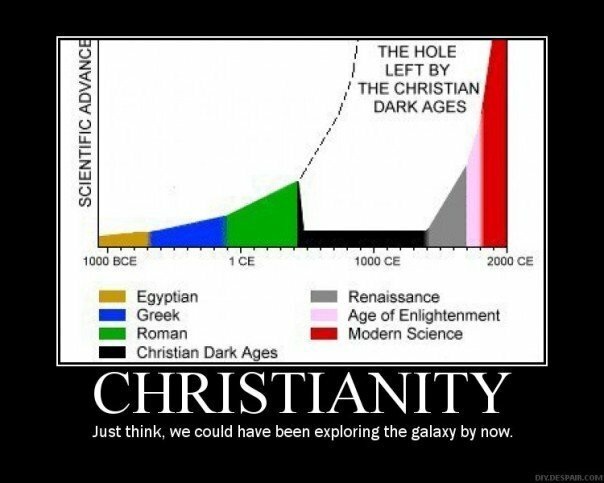 Now, in light of the history of Christianity, the evangelical nature of Christians throughout their history (and no sign of it slowing! ), and the various formulas by which sects argue (with atheists and with each other), one might think that Nietzsche is being either naive or ignorant here. But Nietzsche is quite aware of the history and character of Christianity, and seems to be saying such to raise your eyebrows here, in order to set you up. In writing this, Nietzsche is pulling you in, especially if you are prone to seeing an ecumenical nature to religion. He seems to want to sketch the humanity of Jesus in order to create a larger picture, a larger historical and ideological contrast, of Christianity. Nietzsche here seems to be addressing the character of the ‘Saviour’ as a foil for the church which he sees as degraded and stagnant (“Oh how repulsive is this falsified light, this stake air!”). He is seeing the humanity hidden under ecclesiastical religion, a humanity too-well hidden by the finery of its tattered garb. Here, Nietzsche the philologist comes through clearly. He is seeing the Gospels as a picture into a life lived by a man who stands prior to the dogmas of the church as they would become. It is here that the liberal believer, the ecumenicalist, and in general the respectable atheist can step up and try to claim Nietzsche as their own, as a representative of those for whom standing up and proclaiming that religion is a part of our humanity (even if it is not true), and we gnu atheists who despise and degrade it (as if it needed our help for that) ought to be ashamed of ourselves. But it’s not quite that simple. Here it is of paramount importance to be led into no error by the temptations lying in Christian, or rather ecclesiastical prejudices: such a symbolism par excellence stands outside all religion, all notions of worship, all history, all natural science, all worldly experience, all knowledge, all politics, all psychology, all books, all art—his “wisdom” is precisely a pure ignorance of all such things. And it is here we see the first strong glimpse of what Nietzsche is enlightening us to. 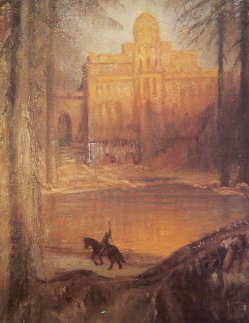 From a purely formal point of view, Nietzsche’s cloaked criticism of Wagner here (the phrase “pure ignorance” is from Wagner’s Parsifal, which was largely responsible for Nietzsche’s turning into the greatest critic of his former friend) is perhaps an analogy of his criticism that lies beneath it. That is, this cloaked criticism is itself a clue that Nietzsche is not here cuddling up with the Gospels, but is rather creating a caricature, again a foil, of both the Gospel and its subject in contrast to the Christianity which we find ourselves faced with in modernity. He has never heard of culture; he doesn’t have to make war on it—he doesn’t even deny it…. The same thing may be said of the state, of the whole bourgeoise social order, of labour, of war—he has no ground for denying “the world,” for he knows nothing of the ecclesiastical concept of “the world”…. Denial is precisely the thing that is impossible to him.—In the same way he lacks argumentative capacity, and has no belief that an article of faith, a “truth,” may be established by proofs (—his proofs are inner “lights,” subjective sensations of happiness and self-approval, simple “proofs of power”—). Such a doctrine cannot contradict: it doesn’t know that other doctrines exist, or can exist, and is wholly incapable of imagining anything opposed to it…. If anything of the sort is ever encountered, it laments the “blindness” with sincere sympathy—for it alone has “light”—but it does not offer objections…. This observation lies in stark contrast to one of the sharpest criticisms of religion by many new/gnu atheists today; that religion and faith are anti-life, anti-science, and ultimately anti-reality. And while it is true that religion is all of these things, what I think Nietzsche is pointing out here is that this is a perspective that can only be seen from the outside, from one who looks at faith from the outside, and not from the inside of Christian faith. The Christian worldview, insofar as it is child-like, is not against the world or its various useful methodologies, technologies, or philosophies; it is unaware of them. A young child does not misbehave because it is against the rules of behavior and social interaction, the child cannot conceive of them yet. The child is just being child-like, yet to become aware of the society in which it is swimming, just like the proverbial fish. In much the same way, one whose entire world is lived within the simplicity of faith, worship, and promised salvation cannot see the conflict inherent with those who do not live with them in that world. They see the world outside as rejecting this simplicity, and cannot comprehend why those outside would reject it. They see us secularists as the source of the conflict, and whine about persecution and oppression of simply living their lives according to the values (not their values, because that would require awareness of another possible value). They cannot see that their own worldview (if they are even aware that theirs s a worldview!) is in conflict with reality—they have no concept of “reality” as those who are methodologically aligned with science are! In the end, it is just another privilege. In this case it is a religious privilege which blinds them to their own ignorance—they are ignorant that they are ignorant. As Christopher Hitchens pointed out many times, they are in chains and glad of it. They do not see their imprisonment for what it is, and they act in ways that look like whining children to the rest of us. They demand special privilege, undue respect, and don’t understand why we don’t give it to them. It’s for the same reason you don’t allow a small child to do whatever it wants. That child has not yet learned to be an adult, and so we protect it and sometimes find it adorable, but we don’t allow it free reign lest it destroy itself and the things we value. “God”, “immortality of the soul”, “redemption”, “beyond” — Without exception, concepts to which I have never devoted any attention, or time; not even as a child. Perhaps I have never been childlike enough for them? I do not by any means know atheism as a result; even less as an event: It is a matter of course with me, from instinct. I am too inquisitive, too questionable, too exuberant to stand for any gross answer. God is a gross answer, an indelicacy against us thinkers — at bottom merely a gross prohibition for us: you shall not think!